Authentic Italian Spaghetti alla Carbonara. Spaghetti alla carbonara is probably ‘the’ most well known Italian pasta recipe. Well, maybe alongside spaghetti bolognese! And like spaghetti bolognese, it has been reinvented a thousand times outside of Italy. Of course, different versions of carbonara are good too. But the original recipe really needs nothing added to it because it’s delicious as is! Some alternative alla carbonara history! 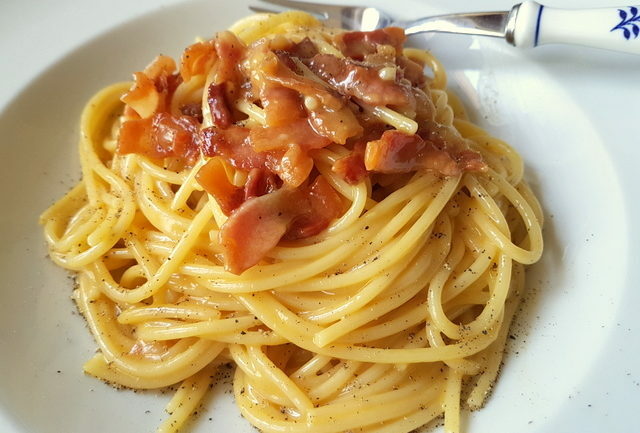 Like so many other Italian dishes, carbonara has a disputed history. The most commonly accepted theory is that it probably originated in or near Rome in the Italian region of Lazio. But how is the question! Theory no 1; It is believed that Umbrian coal men called ‘carbonari’ ate it themselves and introduced it to the Romans when they came to sell charcoal to them. Theory no 3, which to me may have merit since published carbonara recipes date only from the second war onwards, is that it developed as a result of the demands of American soldiers stationed in Rome after the city’s liberation in 1944 and the fact that these very soldiers supplied the Romans with bacon and eggs. How do Italians make alla carbonara? Whatever its origins, it’s certain that alla carbonara has become a worldwide favourite pasta dish – although one that has many non-Italian versions! 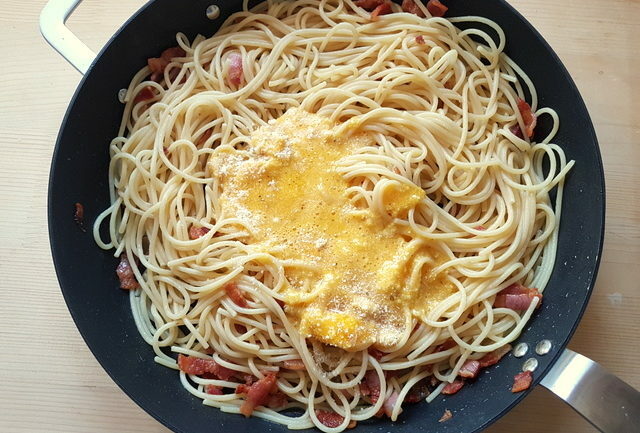 I have always called spaghetti carbonara ‘Italian bacon and eggs’ because basically that’s what it is; eggs, bacon, pasta, grated cheese and pepper. I think it’s the combination of bacon and eggs that makes this one of the most popular pasta dishes in the West, especially with the British and the Americans. Over time, authentic Italian carbonara has been altered by the British, the Americans and others. 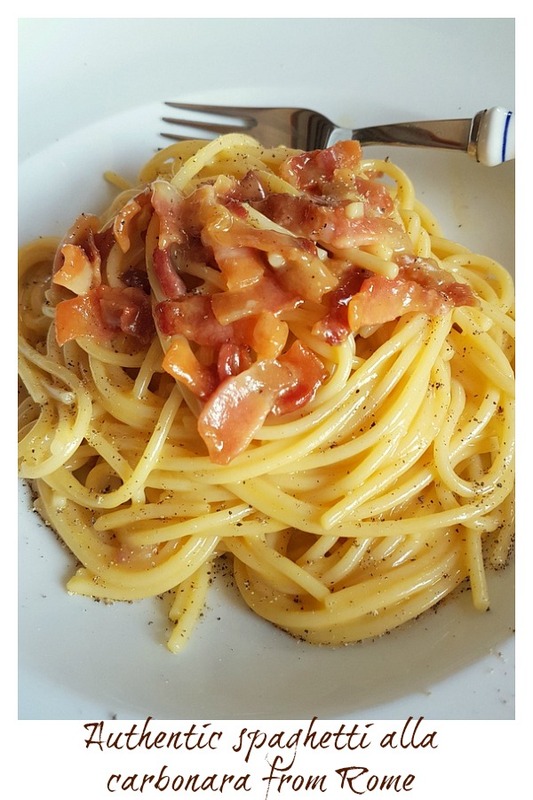 I did a little experiment and searched through Instagram posts hash-tagged #carbonara. Needless to say, I found a zillion variations including ingredients such as cream (lots of cream, sometimes the pasta is swimming in it! ), peas, leeks, broccoli, tomatoes and mushrooms. 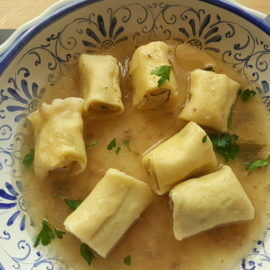 It seems that these additions have become so common in America and England that it’s now considered the norm to make this dish with some kind of vegetable and cream. In Italy, it really isn’t! Like many Italian pasta dishes, alla carbonara is a simple dish with few ingredients. But, it’s the quality of the ingredients and what you do with them that make the difference. The majority of chefs agree that ‘true’ carbonara contains guanciale (pork cheek) and not bacon or pancetta. However, both make fine substitutes as long as they are quite fatty and cubed. Guanciale renders quite a lot of fat so you don’t need to cook it in olive oil. Mixing the pasta to combine the ingredients is an art and the quality of the cheese (Parmesan / Pecorino) and the pasta are significantly important. Black pepper is essential! Some Italians use only whole eggs, others use yolks. My hubby sometimes makes it with just egg yolks. This gives the dish an orangey colour! The general rule is one egg or egg yolk per person. You can watch Antonio Carluccio making his carbonara on Jamie Oliver’s You Tube channel below. 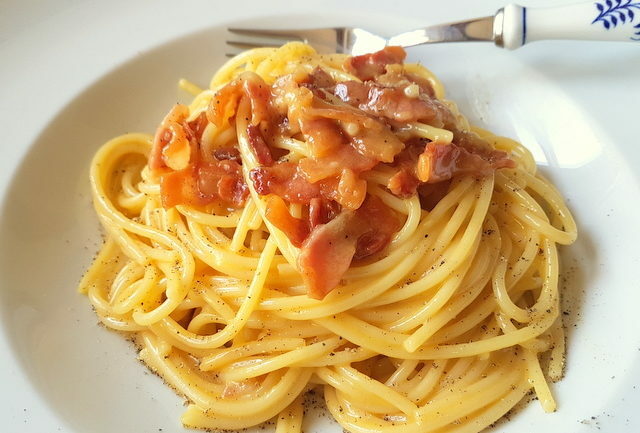 Even if you normally make your carbonara differently, it’s worth trying it the Italian way! I’m sure you’ll love it! 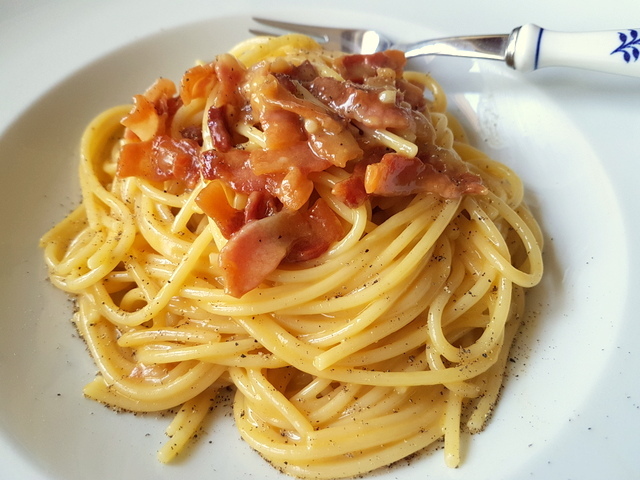 If you do try this authentic spaghetti alla carbonara recipe, I’d love to hear what you think. Please write a comment here on the blog or post a comment on the Pasta Project Facebook page. Other classic pasta dishes from Rome on the Pasta Project. The authentic version of the world's favourite pasta recipe! 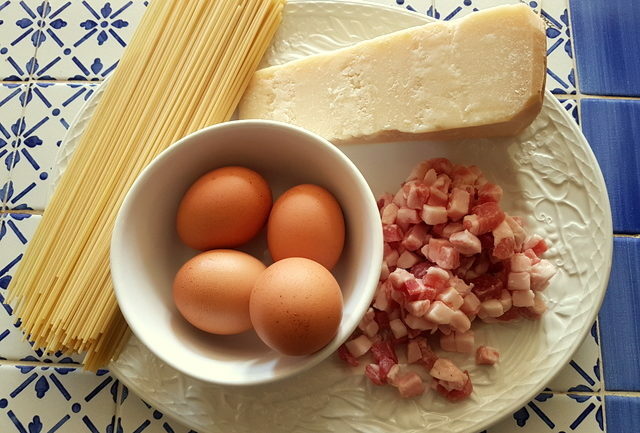 All you need is eggs, guanciale or pancetta, Parmigiano or pecorino and spaghetti to make Rome's favourite pasta dish! 250 g guanciale (pork cheek) (9oz) or pancetta (Italian bacon) cut into small cubes. 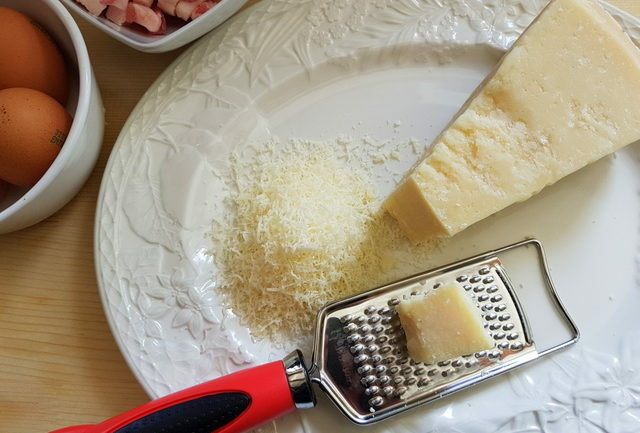 50 g Parmigiano Reggiano (2oz) or aged pecorino freshly grated. 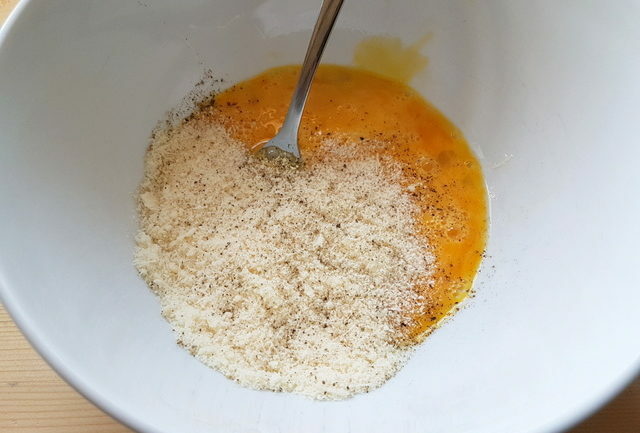 Lightly beat the eggs and/or egg yolks in a large bowl with the grated cheese and black pepper. When the pasta is ready, drain and add to the pan with the guanciale. Then mix well to coat the pasta. Take off the heat. Allow to cool slightly (so the egg won't be scrambled). Then add the egg and cheese mixture. Stir well to coat the pasta, but not too vigorously ( you don't want scrambled eggs!). Serve immediately with more grated cheese and black pepper as required. 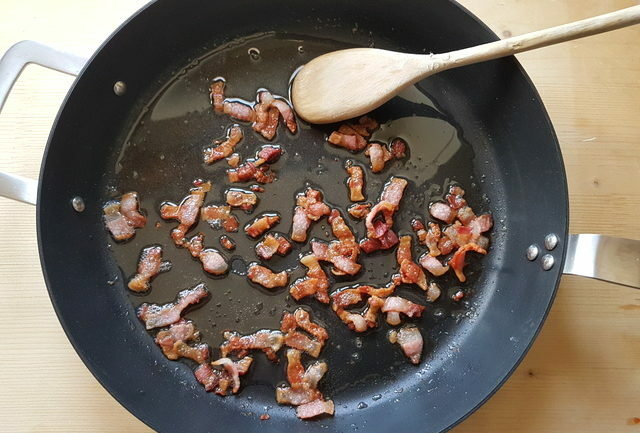 As mentioned in the post, the majority of chefs agree that "true" carbonara has guanciale and not bacon or pancetta, although both make fine substitutes as long as they are quite fatty and cubed. Spaghetti is the usual pasta, although linguine, fettucine, bucatini and rigatoni can also be used. I never use cream with my carbonara spaghetti. I fry a chopped large onion add bacon or pancetta to it and cook it in white wine. Drain your cooked spaghetti, return to the pot and add a beaten egg or two while stirring the spaghetti fast. (stracciatella). Serve in plates with the sauce and add grated parmesan cheese although I prefer it without. A dash of red hot pepper makes it delicous. I’ve never added white wine or onions to carbonara but it sounds good, Carmen! I’ll have to try it! 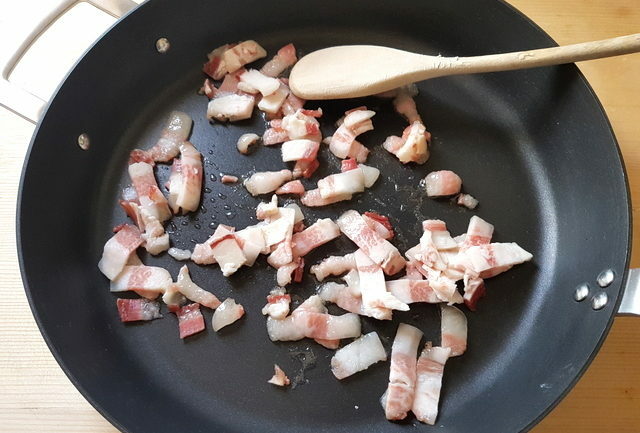 Apropos your reply about people who can’t eat pork: The Roman Jews make Carbonara by substituting dried beef (carne seca) for the guanciale and omitting the cheese. I’ve had it and it’s not bad. The restaurant Nonna Betta substitutes zucchini for the guanciale and keeps the cheese. I haven’t tried it but probably will when I go to Rome in May. Thanks for your really interesting comment Tom! I hadn’t heard about substituting dried beef for the guanciale. I want to try that, plus the zucchini version. Enjoy your trip to Rome! 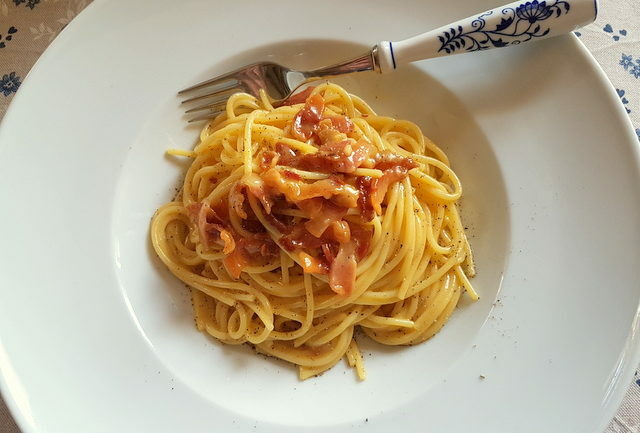 I can’t agree more – the original spaghetti alla ccarbonara recipe is perfect. It does not need anything else added to it because it has such a complete taste! And it was super interesting to find out a bit more history about this pasta – delicious and entertaining! I love reading your post especially about the history of the dish. We love italian food! Thank you Maman de Sara! Yes, carbonara has an interesting history. So many different beliefs! But it certainly is a classic! So I always end up with scrambled egg. Of course you’re meant to take it off the heat and let it cool first! lol thank you for pointing that out. I made some scrambled carbonara this past weekend so trying again later this week for that creamy goodness. I have to confess I used to make scrambled carbonara too Jori! But have got the hang of it now! I’m sure you will too! 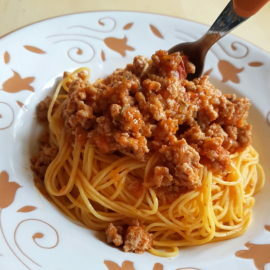 The spaghetti looks so delicious and easy to make. Perfect for quick dinner. This is in my to do list. Can It try with chicken? Thank you Lathiya! If you don’t eat pork, I guess chicken would work. But I haven’t tried it. Let me know if you do. I’m so stoked to find out the correct way to prepare spaghetti alla carbonara, and it turns out to be super simple. Thanks for sharing. Spaghetti carbonara has always been my favorite recipe to order though I haven’t made it a lot at home. I am very excited to try your recipe now because it looks absolutely stunning! I love spaghetti carbonara! It always makes me happy no matter how well my day goes! Definitely something I woud master at home and enjoy often! Delicious recipe that I am bookmarking for later. I love carbonara, but don’t understand why people always add cream. This is example A of how it is not needed. I mean just look how creamy and delicious your pasta is. YUM! I’m with you — I love my carbonara without cream, and that comes from someone who generally loves cream-based pastas, but I feel like it takes away from the eggs. Your version looks delicious! I love carbanara! This looks so delicious and easy. Thank you! I love reading the history of it and now I need to make one myself. Always love a simple pasta with fresh ingredients like this. Looks like a fabulous recipe! Love this information you give about the history of the dish as well. I find the history of dishes fascinating! 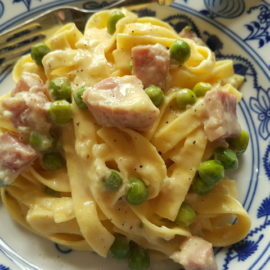 I just love this traditional Carbonara! I will vicariously live in Italy through you Jacqui! While I come from an Italian heritage, we have American-ized many dishes. This sounds like a perfect carbonara. Delicioso!! i love carbonara so much. i mean SO MUCH! it might be one of my favorite dishes ever. so much wonderful flavor. I def have to try out your recipe! I was just going to say I saw this cute old Italian man making authentic pasta carbonara like this, and then I saw you embedded that exact video! He’s the best. I haven’t tried it yet, but I’m looking forward to it. I’m not a huge fan of the cream version, so I’m sure I’ll like the authentic version much better. And also; I would’ve loved to read that Dan Brown book! Very informative post. I may want to create a vegan version of it. Loved reading it! This looks simply delicious. I’m excited to try an authentic carbonara recipe because I’ve been eating wrong all along. One day I would love to visit Italy. Until then, being able to enjoy the foods of the world in your own kitchen is great. We are pasta lovers. This sounds delicious. Such a yummy recipe! I love this one! We too love a pasta for dinner on a weeknight! Its so convenient! Wow, I just learned so much about Carbonara that I didn’t know before! And no cream! I’ll definitely need to try this with some gluten free spaghetti or zoodles. This is seriously one of my favorite Italian dishes. I only make it on rare occasions, but it looks like tonight might be one of them! Thanks! I love the step by step directions…I can’t wait to try this recipe! Hello, from America! Hope your day is going well. I am enjoying reading your wonderful posts on Pasta and their authenticity. My family is from Italy and I totally agree that many recipes do get altered here in America. So glad to see some original Italian recipes. Normally I usually head my recipes as American-Italian due to that fact. I can’t wait to run this by my mom and family. I bet they would enjoy it. This is one dish my family relishes and this is perfect for me to try this weekend. sometimes you just have to skip the veggies and this recipe was perfect without it! Thank you for sharing it was perfect. We love carbonara & ate it in Rome for the first time. 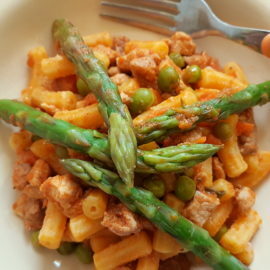 Your recipe is perfect Italian & absolutely delicious.